The rumor mill is going strong with the potential release of the Phantom 5. Forum experts and unverifiable sources estimate that DJI will announce the new version of its best seller drone sometime in September of this year. Due to the lack of official information, we can only speculate at this point. However, we can analyze DJI's past strategy and actual technological development to estimate the possible specifications and features that may end up in the Phantom 5. DJI was founded in 2006 by Chinese national Frank Wang Tao while studying at the Hong Kong University of Science & Technology. A decade later, most financial analysts estimate DJI’s market value to be worth $10 billion or more. The Shenzhen-based drone manufacturer is now the world’s leader in the hobbyist and commercial drone market, capturing 70-80 percent of the sales in this category. The competition has been mostly eliminated by DJI's aggressive price war and technological advancements. The few western corporations facing DJI such as California-based 3DR and GoPro, or the French electronic maker Parrot, are now in serious financial trouble after repeated commercial failures against the market leader. All these companies have recently announced important layoffs, up to a third of its staff for Parrot. Even DJI’s Chinese competitors fare no better. Yuneec, which received a $60 million investment from Intel in 2015, is also cutting staff. Same for Autel. Others such as Walkera, Ehang, or Xiaomi are fighting for the leftovers. 3DR is now recycling its unsold Solo Drone inventory to professionals for mapping services. Meanwhile, the future of GoPro as a drone manufacturer is unknown since the failure of its Karma drone last years. How did they get here? First, the drone market is extremely competitive and the technology plays a huge role in market dominance. Designing a drone that flies is easy. Designing a drone that flies well is harder, as GoPro learned last year after the Karma battery disaster that forced the company to launch a massive product recall and freeze the sales of its drone for several months. Making a good drone at competitive prices represents another challenge. The Solo drone made by 3DR was positioned directly against the DJI Phantom but the U.S.-based company never managed to match DJI's price and features, thus condemning the Solo from the beginning. DJI now has over 11,000 staff worldwide, with offices in 17 cities around the world. As we continue to expand our global footprint, we need to strengthen our management in the area of operations. The move will also enable us to gain a deeper understanding of our growing customer base and build stronger relationships with our dealers and partners. Release Date - Late 2017 or Spring 2018? Actual rumors mention an announcement sometime in the fall of 2017, but they also predicted April 2017 because it matched the first anniversary of the Phantom 4. Previous Phantom models were usually released earlier or later during the year. February and March are highly unlikely due the Chinese New Year celebrations that disrupt the entire production and supply chain while the summer period is not ideal because of the seasonal nature of drone usage. Most of the market is located in western countries and winter is not the best period to prompt customers to buy a drone that will be used during short and cold winter days. The Phantom 3 and Phantom 4 and Phantom 4 Advanced were announced in April 2015, 2016, and 2017, ready to hit the stores early in the summer. On the other hand, the Phantom 2 and 4 Pro were announced in December and November, ready for the high demand spring and summer periods. The only exception being the Mavic Pro that came in October of last year. 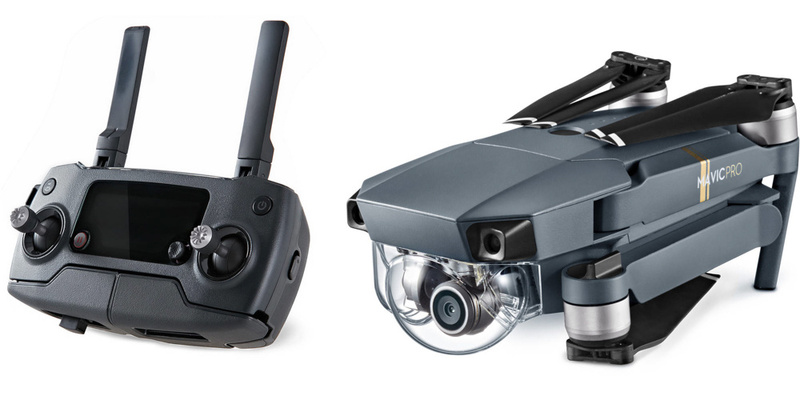 However it seems that the unusual release date of the Mavic was motivated by the launch of the GoPro Karma drone which was announced only a few days before the Mavic. It looked like DJI accelerated the Mavic program to match that of GoPro. In fact, whether of strong initial demand or unprepared production lines, the Mavic deliveries were stuck until as late as February 2017. In this regard, I don’t anticipate any announcements before the end of 2017 or April 2018. In less than a year, DJI released four different drone models (Mavic, Phantom 4 Pro and Advanced, Inspire 2, and Spark). The management had a lot to do and the competition is dying. The GoPro Karma was late to the party and the battery failure killed the enthusiasm. I don’t expect a Karma 2 anytime soon since GoPro took a lot of time to develop its first drone and they just released the new updated battery version a few month ago to maintain the Karma alive. 3DR disappeared from the radar after the Solo commercial failure. 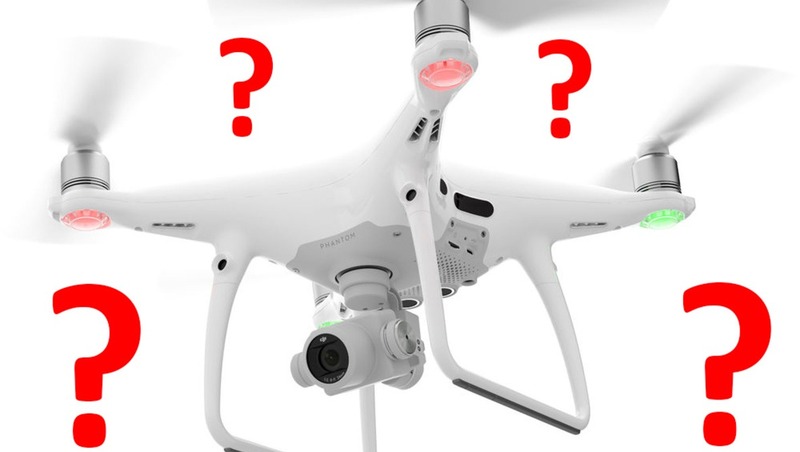 Meanwhile a few discrete players remain in this market such as Autel, Walkera, Ehang, or Xiaomi, but they do not constitute an immediate threat to DJI. At his point, there are no clouds on the horizon. 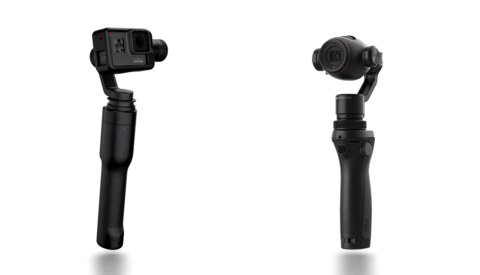 The company now has a complete range of products, from the entry level DJI Spark, to the Hollywood-grade Inspire 2, with the Mavic Pro and Phantom 4 Pro for the hobbyist and prosumer market. All these drones are less than a year old and still sell like hot cakes. There is currently no incentive for DJI to rush another product to the market. In less that a year, DJI released many drones such as the Mavic Pro, the Spark, the Phantom 4 Pro and the Inspire 2. For the fifth iteration of the Phantom, I don’t expect DJI to revolutionize a winning formula. The general architecture and shape of the drone should remain the same. The addition of retractable landing gears is often discussed on forums but I don’t see the advantages. On a production standpoint a retractable landing gear would add complexity and weight to the aircraft, thus raising the price and lowering the flight time. Of course the camera could freely rotate 360-degrees without having the skids in view but this features is reserved for the Inspire. At the moment, the Phantom 4 Pro is the only drone in the DJI line up without foldable propellers. I expect the version 5 to come with that type of propellers for faster deployment and easier transportation. Since the introduction of the high-end Inspire 2, the Phantom moved a little bit upmarket both in specification and price. The Mavic took the spot of the earlier phantom models in the $1,000 range as the hobbyists’ choice while the Spark covers lower end of the spectrum with the Phantom 3 SE. As with the Phantom 3, DJI may decide to propose several variants of the drones (Pro, Advanced, Standard, Plus, SE, 4K) from the beginning or come up first with a full priced flagship version before releasing cheaper alternative as DJI did with the Phantom 4. The new Phantom 5 should be available at $1,200–1,500 for the flagship version. Lighter variants such as the Advanced or Standard models should sell for $1,100 to $1,300. The real breakthrough with the Phantom 4 Pro was the introduction of a large one-inch sensor compared to the previous models fitted with tiny 1/2.3-inch sensor. This really improved the image quality, allowing for better dynamic range, higher usable ISO, and increased resolution (20 megapixels). The camera can capture 60 frames per second in 4K mode. Even the latest GoPro 5 caps at 4K/30. The specifications are already very good but the new Phantom will have to deliver more. What could it be? Going higher than 4K/60 seems unlikely because it would require a lot of processing power. Could the Phantom 5 have a 5.2K/30 mode like the Inspire 2? An increase of the video bitrate to 150 Mbps is also possible. Having a 2-3x built-in zoom would be a great innovation too. DJI already offers such camera for the inspire 1, the Z3, with a focal range of 22-77mm. But the Z3 camera has a small 1/2.3-inch sensor making the lens design smaller and lighter than with the Phantom’s one-inch sensor. A zoom on the Phantom 5 would require larger piece of glass and bigger gimbal to handle the load, thus reducing the flight time. Perhaps DJI could manage to implement a moderate zoom range of 24-50mm. Another solution would be to use a partial area of the sensor to offer a zoom mode based on sensor crop. Then DJI could propose a 10-bits mode like the Panasonic GH5. However this feature will compete directly with the Inspire 2. On the stills side I don’t expect much improvement over the Phantom 4 Pro. The 20 megapixels might be bumped to 22 or 24 megapixels for marketing reasons, but the current resolution is enough for that type of sensor. Higher pixel density would reduce ISO performances. The introduction of the Sport mode on the Phantom 4 allowed to tilt the drone at a higher angle to reach a maximum speed of 45 mph (72 kph). Even though DJI may increase the speed by a few percent there won’t be any substantial increase here because drone design is a compromise between performance and endurance. Faster speed requires different type of motors and propellers which are not compatible with longer flight time. Longer flight time requires larger propellers, thus bigger drone and reduced agility and responsiveness. The actual Phantom stays in the air for about 20 to 25 minutes. I don’t expect major improvement unless DJI radically changes the overall design of the drone. Since the introduction of the intelligent battery with the Phantom 2, DJI took advantage of the situation to charge high price for a spare pack. This business model was applied to each Phantom thereafter. Every generation came with a new type of battery that was not compatible with the previous model. I think that DJI will follow this trend on the new Phantom. Unfortunately there has not been major technological breakthrough for decades regarding lithium batteries so don’t expect magical results with the Phantom 5. Longer flight time will probably come from a larger capacity battery or radical new design of the drone architecture (lower Kv motors with larger propellers). The current digital link technology (Lightbridge and OcuSync) does an outstanding job and already provides more range than the battery can handle. The Phantom 4 live steaming is limited to 720 so we may get an increase to 1080 resolution like with the Lightbridge 2 and Inspire 2. More than likely the Phantom 5 will also improve the latency and resistance to interference. In this regard the new flagship model should come with two transmitting bands (2.4 GHz and 5.8 GHz) as of the Phantom 4 Pro. The Inspire 2 introduced a second camera for the pilot to facilitate dual operator’s flight. The pilot can now fly the aircraft through a low-resolution camera installed in front of the drone while HD camera operator controls the gimbal. Unless DJI want to reserve this feature to its high-end drone, the new Phantom could come with a similar pilot camera. Unlike the Inspire 2 camera which is mounted on a two axis gimbal, the Phantom 5 could be fitted with a fixed FPV camera to save cost and weight. The new Phantom model should enhance the anti-collision features. The Phantom 4 Pro already comes with a 360-degree obstacle avoidance set of sensors. Perhaps DJI will integrate an upward sensor like the Inspire 2. DJI will probably propose additional intelligent features and flight modes such as the Tripod mode introduced on the Mavic or the gesture mode from the Spark. The drone could also come in various colors like the Spark. A Prussian general once said “no plan survives contact with the enemy.” So do my predictions for the next Phantom 5. Projections based on DJI’s previous history does not guarantee anything. There will be elements of surprise and some of my forecasts will be wrong. DJI has been a very innovative player and keeps coming up with unexpected products and disrupting market strategy. No one envisioned the release of the Mavic and Spark models. The Osmo was unanticipated in the video field and the Chinese company constantly pushes the technological envelope to propose cutting-edge products to the market. 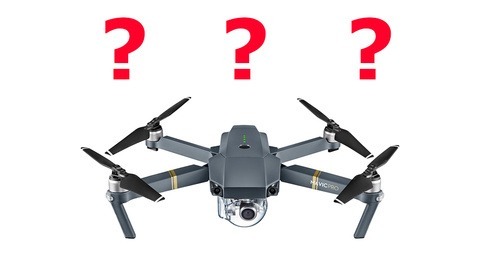 Perhaps DJI is not done yet with its competitors and wants to maintain the pressure on them and perhaps the Shenzen-based company will come up with a radical new design for the fifth iteration of the Phantom. Overall, the current Phantom models are solid performers. If you need a drone now, do not feel stuck because a new version may come later on. This is an endless cycle, after all. Id hope dji invest in a good app! The current has the lowest rating on android tons of negative reviews for the latest current mobile os on android? I love the p4p but its not current on the latest software ?really does curbs enthusiasm for there other products? Mayb plus models have fewer woes but check the Android play reviews ? its speaks for itself . Says the guy with the neo-nazi white supremacist logo as your picture. They need to kill lightbridge in favor of Mavic's Ocusync. 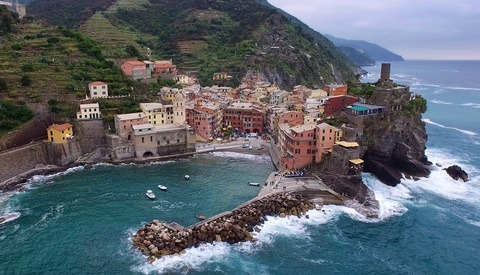 Elia Locardi just sold his Phantom 2 footage to the movie John Wick 2. They loved it. Really? That's pretty cool. Footage from Iceland? Wrong. The p4p is more than capable for many professional uses. The 4k footage is of a very high level. I think you're just playing a numbers game rather than judging the visual quality for what it is. Woah calm down mate. No need for abuse. I didn't say the p4p is good because it has 4k. I said the 4k that it does have is excellent quality. Try and understand the difference. Also your little assumption is way off lol. Like resolution, bit rate is not the be all and end all. Again stop focusing on the numbers and actually look at the footage itself. Heck, maybe leave your bedroom and go outside and shoot! The fact is that the p4p is an excellent tool for a wide range of professional outputs. It's quality in most respects is excellent. People like you need to stop commenting when you have little or no experience in the real world. My guess is you spend a large proportion of your time analysing specs to which you can list the details of almost any digital camera on the market but probably can't tell the difference when given a visual comparison test. I love the irony where you say "...time spent trolling kiddos...". Well done! We can agree to disagree on this matter. I only shoot Graflex Speed Graphic 4x5 inch format. That's how real pro do it Mike.